you might get a different answer from each person. So let me share a very simple but effective strategy that I have used to get almost instant results. I`m talking about ranking on the first page of the search engines within one day. Don`t believe me, go to the google search box and type in “how to get traffic to my blog for free“. By the time you read this article I would be willing to bet that this blog post and video will be ranking for that keyword phrase. First thing, I had to do some keyword research and find a long tail keyword phrase (3 words or more). On a topic that was within my niche and of interest to my audience. Then I searched for the keyword phrase that was searched more than 100 times per month using the google keyword planner. After coming up with a couple of phrases that met that criteria. I proceeded to find out which phrases had the least amount of content or competitors using that phrase. 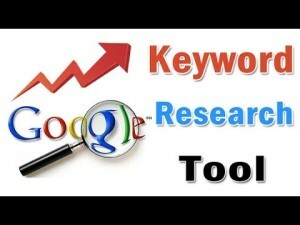 Then I created a video for that long tail keyword phrase. Also created this blog post using the same phrase and redirected traffic from my blog to the video and from the video to the blog. So the two are working together to redirect traffic to one another and boost my views tremendously. Videos marketing ranks a lot faster than blog posts so when you combine the two you have something magical happen. you will get extraordinary results. 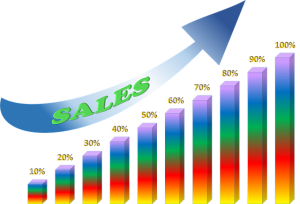 That is how to Get traffic to my blog for free. traffic to your content and watch what happens. In the video above I show you how to redirect traffic to your videos and websites while using you tube videos. You will also discover how to increase your You Tube Subscribers to your channel in another training that you will be redirected to. Video marketing is the most effective strategy you can use for your business. Once your content ranks on the first page of the search engines you will have more traffic than you can deal with. That`s a good problem to have that you won`t be able to stop. Your content will take on a life of it`s own and as long as people for searching for answers they will always run into your material. Technology changes and so does some of the strategies and techniques that we use. pass your content in the search engines. Keep creating new content and engage with your viewers and you will maintain your presence within the market place. Robert Mccray on Are you struggling with making money from blogging? Lee Brown on Are you struggling with making money from blogging? Strategies and tips to improve your keyword research and get your content to rank on the search engines.